Placing a loved one in a nursing home is rarely an easy decision because it usually signifies that the person is suffering from debilitating health problems, and is likely entering the last phase of his/her life. Nursing home residents are vulnerable, and need appropriate oversight and adequate care so they can live as well and comfortably as possible. Failure to implement the correct policies and standards can lead to incidents of nursing home abuse. 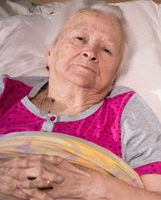 Nursing home staff and administrators are entrusted with protecting residents, but a report from the Office of Inspector General, part of the U.S. Department of Health and Human Services, indicates that incidents of potential abuse and neglect that required medical treatment were greatly underreported to state authorities, which is mandatory for licensed nursing homes under state and federal law. This failure to report potential abuse is typically driven by concerns that revealing this information will lead to a loss of residents and a resulting loss of revenue. In other words, the economics of running a nursing home facility is unfortunately allowed to trump resident safety. This reality underscores the need to file personal injury suits for negligence against nursing home facilities when abuse does occur. Otherwise, these outfits have no incentive to change, and residents will continue to be at risk. A discussion of the reporting requirements for resident injuries under Florida law, as well as ways to document incidents of abuse for law enforcement, a common first step in filing a lawsuit, will follow below. any issue that requires medical treatment the resident did not consent to receive. Once an adverse incident is discovered, the facility is supposed to begin an investigation within one business day and notify authorities of the incident and findings within 15 days. Further, nursing home staff that know of abuse or neglect have mandatory reporting requirements to the state’s central abuse hotline. However, as the federal report shows, a significant number of abuse incidents are not being reported, and family members need to practice vigilance to protect their loved ones. If an injured party can show the nursing home failed to follow the quality assurance program guideline or reporting requirements at trial, this would be persuasive evidence the nursing home was negligent. No one should ever have to endure abuse or neglect, especially from those charged with caring for their needs. If you or a loved one suffered abuse in a nursing home, contact a nursing home abuse attorney about taking legal action. These facilities need to be held accountable, and Miami’s Pita Weber Del Prado has the experience necessary to build a strong case for your claim. Contact us for a free consultation.